Sometimes affordability issues makes it difficult to book rooms with 4 or 5-star hotels. When this is the case, many people opt for 2-star hotel options. Unfortunately many of these types of hotels do not take care of their guests the way that they should. At Pension Segre, however, you do not have to worry about this issue. It is located in the older part of Barcelona, and it is close to Las Ramblas. Many people consider it to be one of the very best hotels that you can book for the money. Let’s take a look at what to expect when you stay at this hotel. Pension Segre offers 23 rooms, which include economy triple, studio, double and quad rooms. Economy rooms are some of the cheapest that you can find anywhere in Barcelona, but they still have the features you desire and are an excellent choice for group accomodation. These rooms have a sink in the main room, and all facilities are shared among the guests of the room. You can book a room at Pension Segre for as little as £32.00 per night! This hotel is an excellent choice for someone who needs to be located in the middle of the action, at a very affordable price. Some 2-star hotels reduce the living conditions in order to make up for money lost on the cheap rooms. However, at Pension Segre you do not have to worry about such issues. The hotel has a complimentary wireless internet service, which important for maintaining contact with friends and family. You can even complete work tasks with ease. Every one of the rooms has a cleaning service as well. This service will come in and clean the floors and take care of your used towels for you. If you ever need anything at all, the reception desk is open 24 hours. It is important to understand that Pension Segre requires you to book your stay for a minimum of 3 nights. Their website makes it easy to check room availability. Simply type in your arrival and departure date, and the system will update you on room availability. This also allows you to determine the exact cost of your stay. Hidden hotel fees are one of the primary concerns of customers, so it is important to know exactly what you are paying for. 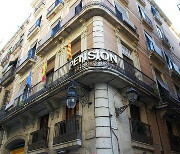 Hotels located in this area of Barcelona can be extremely pricey, so Pension Segre is an excellent choice if your primary objective is to be in the middle of a bustling city. Take in the sites and sounds as you walk the streets of Barcelona. The people are friendly and they are quick to point you in the right direction if you get lost. It is wise to book your room far in advance. This is due in large part to the hotel’s location. While you might not be able to hop in a jacuzzi or experience complimentary room service, Pension Segre is still an excellent value for the smart traveler.